Currently pursuing an M.S. in Book Publishing in the hipster capital of the world, I work as the print editor at Portland Review and as a marketing intern at Ooligan Press. I like old books, fresh coffee, and dark beers. 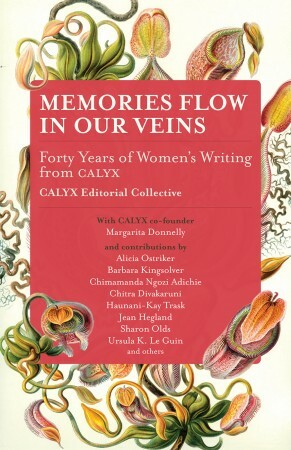 On April 1st, Ooligan Press and CALYX literary journal will be launching a new book celebrating forty years of women writers. We will be at a booth at the Association of Writers & Poets conference in Los Angeles. This past year has been full of change, but I am still the same starstruck, struggling writer-in-training as before. I will be updating this site daily once again, resurrecting the beast. This time, I will also be featuring publishing hacks and tips from inside the industry. Keep an eye out! In many writing manuals or blogs, you hear about writers who begin their days with silent meditation in their quiet study and then write all morning. You hear about the writers who have set aside evenings for their studious and solitary creation because they work best at night. Ah, the peaceful bliss of a writing life. Except, for a lot of us, these scenarios are just as unrealistic as the single young writer living in their own Manhattan studio apartment in every romantic comedy ever. Most writers I know work at least two jobs, sunup to sundown, and many are full-time students as well. Most writers I know don’t have studies, or even a quiet desk or armchair, or live with so many people that it’s never quiet or meditative. Most writers I know can’t devote the time they work best to writing, because they need to cook their dinner or do research for a paper or commute for an hour on a crowded bus or take care of their children or maybe just sleep because they’re just too damn tired. I’m not making excuses for us normal, everyday writers. I’m not saying we have the right to not create or to be less industrious. Quite the opposite, I’m saying we need to be more industrious, more creative, and not get discouraged when it isn’t glamorous or convenient or even very fun. We aren’t very romantic or very spiritual or very quiet. But as long as we remember to keep writing, we’ll be okay. Only writing what you know is like trying to go on an adventure without leaving the backyard. “Who are you anyway? Why do you matter? To me, you don’t matter. I don’t care about you. I exist whether you read me or not. In fact: you can quit reading this book right now, I dare you. I dare you to put this book down and forget about it. I don’t need you. I am the answer to the riddle: if a writer writes a book and no one reads it does it still make a sound? Yes. Yes, I do make a sound. How can you not continue a book that opens like this? “Everyone” is not an acceptable category when talking about anticipated audience. “Everyone” does not exist in the publishing world, which revolves around small, tightly focused groups dramatically separated from one another by marketing plans and sales pitches. If you say “everyone” will enjoy your novel, chances are you haven’t thought clearly enough about who you are writing for. Currently reading The Kandy-Kolored Tangerine-Flake Streamline Baby by Tom Wolfe. I have no idea what’s going on, but my god, the words are beautiful. __ Have her beat up a man within the first 20 pages. The closer you make the beating to her introduction, the stronger a female character she will be. In the best case scenario, she enters the story already karate kicking. Bonus points if she knows science-y stuff. __ Give her a generous amount of dialogue relating to her independence and autonomy. This is to make sure that people understand she is a strong female character. If possible, throw in some jabs at the male characters and their maleness, because the best way to eradicate the objectification of one gender is to objectify another gender. __ Emotional scarring is a a must. Emotional or mental damage is a good way to explain her lack of soft, feminine values, especially if this damage relates back in some way to a man. This adds complexity, making the strength of your female character actually a flaw that needs to be fixed (probably by the hero). Apologies for a few quiet days: I have been busy meeting a deadline. Ever stare so long at a computer screen your eyes dry out and you start crying because of the pain and everyone in the room looks at you with the sidelong concern of hesitant strangers not sure they want to get involved? Anyway, how was your weekend? Fun fact: The Copyright Act of 1909 only protected “useful art”. Studying intellectual property and copyright law studies can be quite metaphysical at times. What do you think an example of “useful art” might be? This week will be spent doing layout design for an internationally esteemed literary journal’s 60th anniversary issue. No pressure at all.